WASHINGTON: Edelman is looking to increase its national security and defense client work with the hiring of Jonathan Litchman as SVP in its Washington office. Litchman previously worked at Science Applications International Corporation, a defense contractor, where he was SVP and most recently built and led the company's $150 million linguistics, cultural intelligence, and strategic communications business. 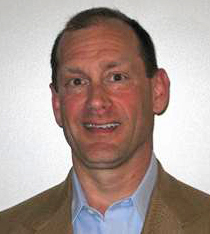 In this capacity, he created a communications measurement-of-effectiveness program for a national security organization and expanded SAIC's international communications work across the intelligence, defense, homeland security, law enforcement, and diplomatic communities, said Rob Rehg, president of Edelman's DC office, in an internal email to employees. Litchman also established lines of business in strategic planning, operational support, and crisis operations for the intelligence community while at SAIC. He also created a commercial line of business in linguistic technology products and led branding and marketing strategies for SAIC. Litchman “brings a unique skill set, broad network, and track record of entrepreneurial success to us that holds enormous potential,” Rehg said. The firm expects Litchman to leverage Edelman's expertise in brand management, market penetration, research and analytics, public affairs, and crisis communications. It hopes to support domestic and international government and commercial clients, whose communications needs are culturally sensitive, mission focused, and impactful, Rehg said. Prior to joining SAIC, Litchman worked for the Senate Foreign Relations Committee and served in the executive branch as an intelligence officer in a variety of capacities. This is his first time working at a traditional PR firm, Litchman said. He was impressed by the agency's various offerings and felt they could be leveraged to grow the firm's presence in the security and defense spaces. “I felt that Edelman has a phenomenal depth and expertise of doing positive work that had an impact,” he said. Litchman is joining the firm as federal PR contracts are under attack by Republican lawmakers as a source of waste. Still, Litchman is optimistic he will be able to help grow the firm's business in the federal space.